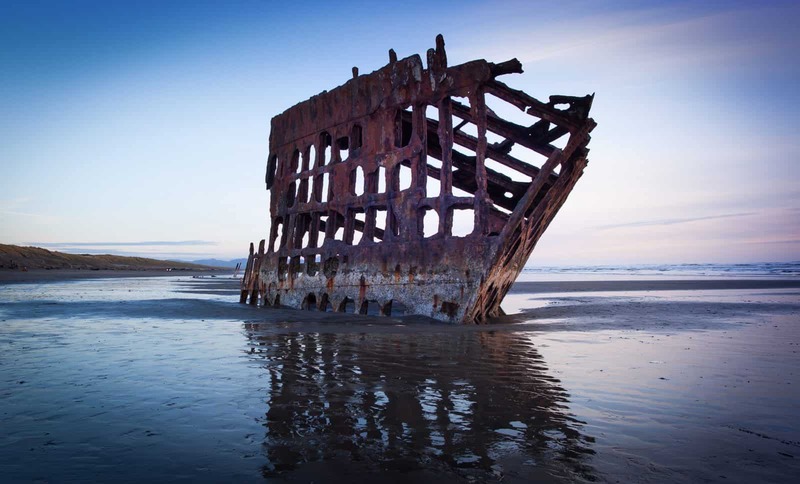 The Peter Iredale Ship crashed in 1906 near the Mouth of the Columbia. The crash site is located in Fort Stevens State Park near Warrenton Oregon. The ship was never removed from the beach and has been slowly decomposing ever since. 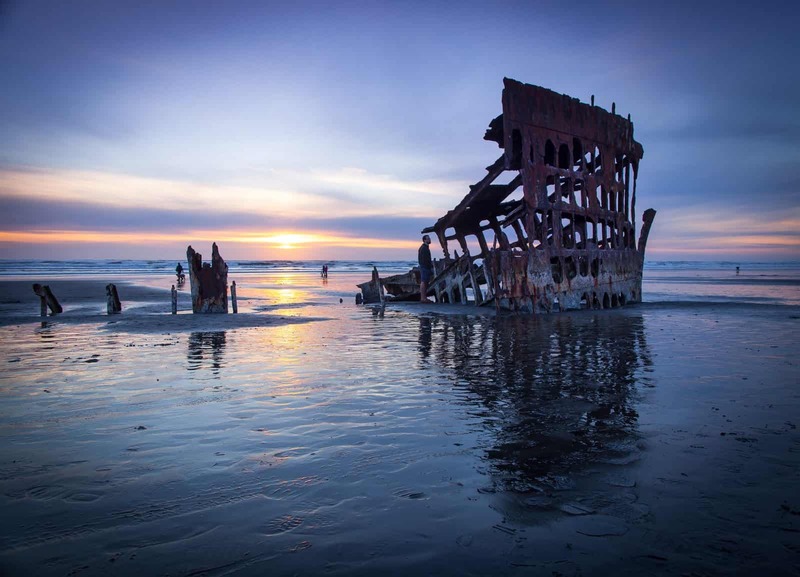 The Peter Iredale ship Wreck on the Oregon Coast has become a popular tourist destination for both photographers and sightseers. The best way to access the site of the shipwreck is to turn of Highway 101 at Warrenton heading West towards the ocean. 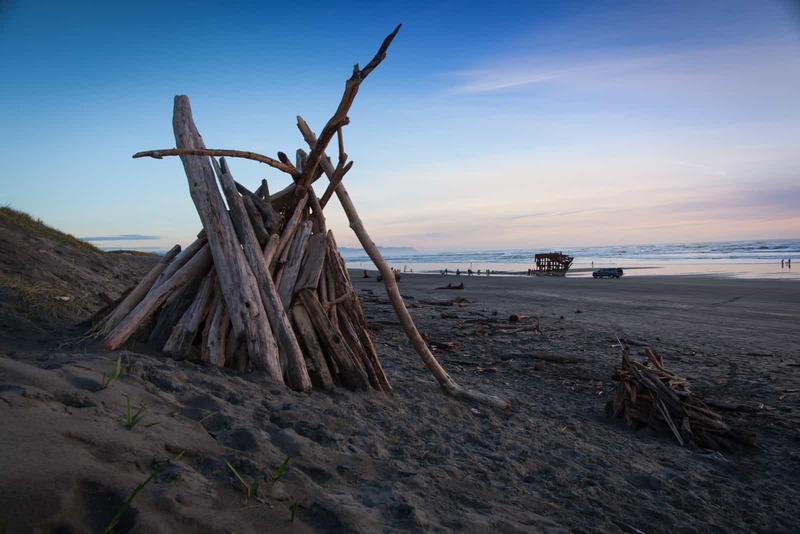 From there, find your way to Fort Stevens State Park and then simply follow the signs to the crash site. As a local Oregon Coast photographer I decided to capture my version of this iconic structure. While we were at the crash location we also filmed a few clips with our DJI Phantom Drone and Hero Go Pro 4k Camera. The footage has not been released yet, you can see other amazing Oregon landmarks in our Oregon Coast Drone Video. Our passion is to capture the scenic beauty of the Pacific Northwest in our unique way. The State of Oregon has so much to offer landscape photographers that it never gets old capturing it’s unique and rugged beauty. The Morrisey Productions crew is currently working on a new drone video that will feature locations from the mouth of the Columbia River to as far south as Brookings. We recently upgraded all our camera gear including purchasing the new DJI Inspire 2 Drone capable of shooting 4k Raw Footage taking our production quality to a new level. Check out Morrisey Production YouTube Channel to see more incredible videos.